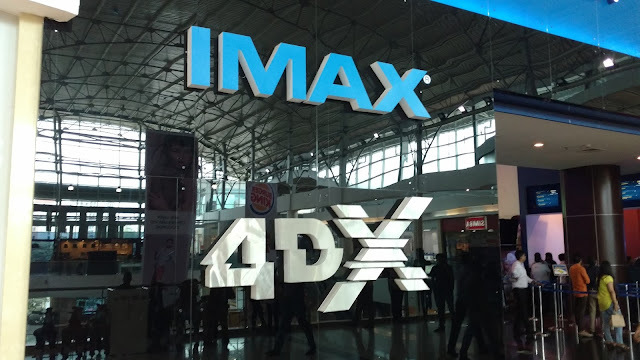 Watching Jungle Book at Viviana Mall's Cinepolis IMax 4DX theatre was one hell of an experience. And it will be etched in my memory forever. 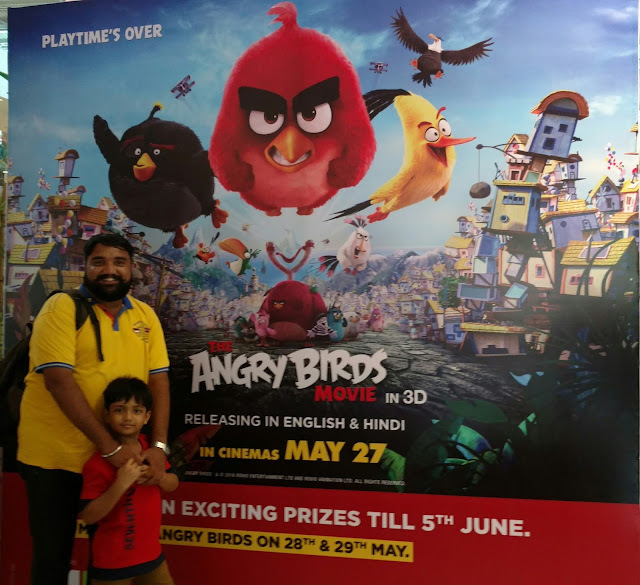 So, when team So-Saree was invited for a screening of the latest Angry Birds movie at the Cineopolis IMax 4DX theatre again, we couldn't turn it down for any reason. Oh boy.. oh boy...oh boy... it was one hell of a catapult flight with the Angry Birds this weekend ! An amazing experience at Viviana Mall's Cinepolis IMax 4DX theater enjoying the 1st movie of the Angry Bird franchise. 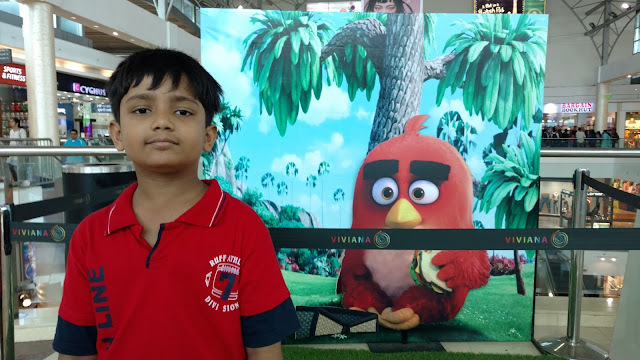 I wonder why this flock of cute birds are named Angry Birds, they make you laugh your guts out through out the movie and you fall in love with them all over. But believe me the movie gets Grander with the 4DX experience for sure. Cinepolis is the 1st 4DX theater in India and the only one in Mumbai. The real stimulation effects of the moving seats makes you run, fall, jump with the characters and this is accompanied by effects of wind, water splash, lightning, scent, making the over all experience surreal ! So it's not only the kids who enjoy the movie, the adults too have a fun time. 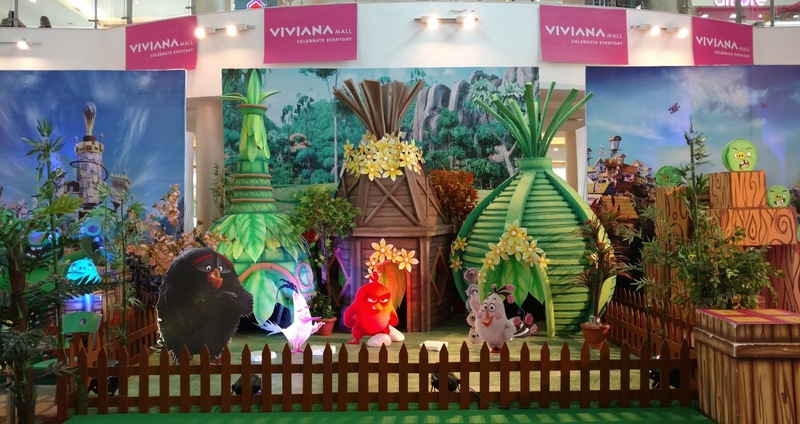 This was not all... the Viviana Mall team had set up a couple of fun games with the Angry Birds in the Mall too. A theme decor at the entrance will catch the attention of everyone in the premises. 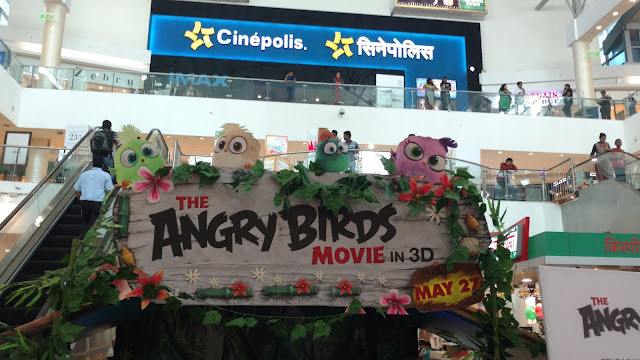 The movie is still in theaters, so if you want to fly with the Angry Birds, be at Viviana Mall Thane and book your tickets to experience their magical world in 4DX ! 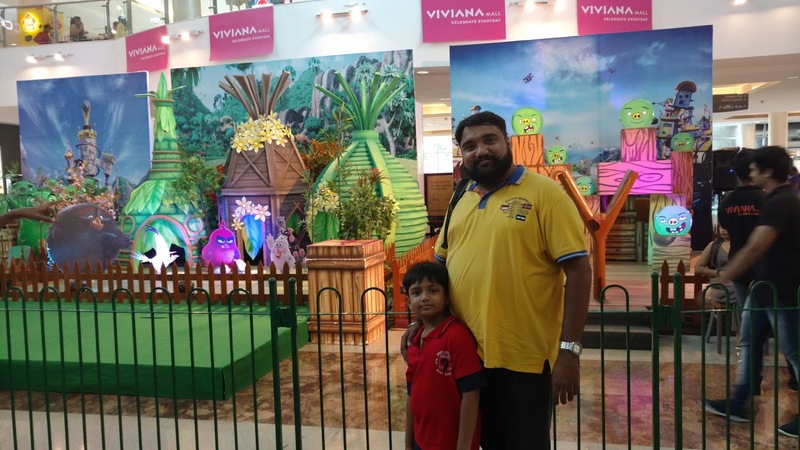 I had a great time with my son - Siddhesh. It was his 2nd time at the 4DX theater, the earlier one was - Jungle Book. Just hearing that we are watching Angry Birds in 4DX, he was all excited and eager to reach the venue on time. During the entire movie, I could hear his giggles and laughter and his anxiety over the dramatic scenes. 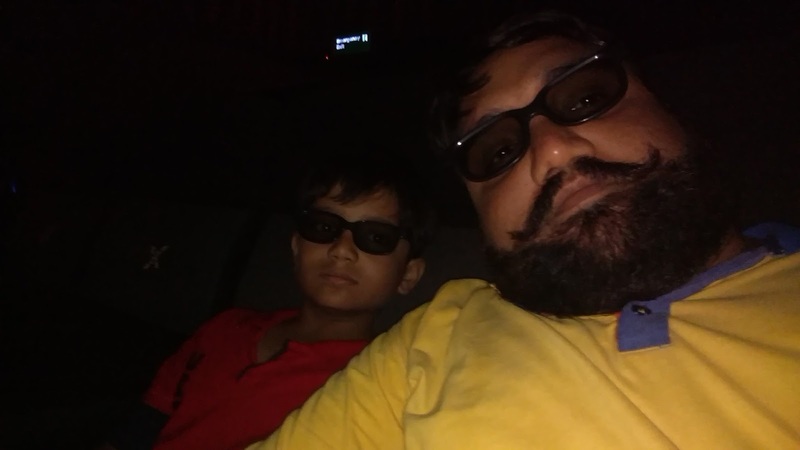 His confirmation on his overall movie experience was clear when as soon as we were out of the theater, the 1st question he asked was, "when are we coming back to see Teenage Mutant Ninja Turtles in 4DX now?" Sharing a few clicks of this wonderful time with you all. So-Saree recommends you stop over at Viviana mall and experience the hilarious fury of Angry Birds with your family as soon as possible. I am glad you had a great time!